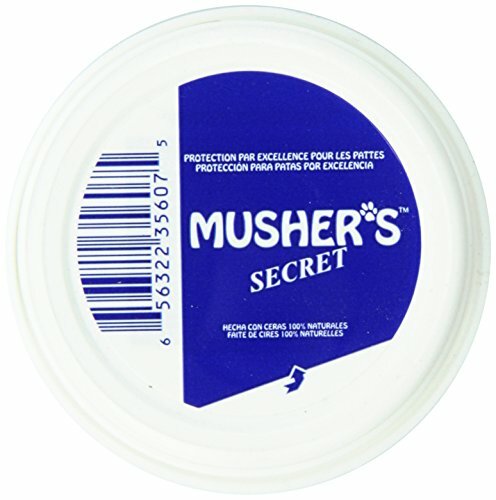 This easy-to-apply all-natural wax-based cream protects paws from harsh surfaces. Protect paws from sand, hot pavement, ice and salt with all natural 100 percent wax-based cream. When applied to pads and between toes, dries in seconds to form a semi-permeable shield. Non-toxic, non-allergenic, non-staining formula can be used weekly or as needed to prevent abrasions, burning, drying and cracking. Perfect for mushing, hunting, walking or before any outdoor activity. Acts as an invisible boot to prevent potential paw problems. Easy-to-apply formula contains vitamin E to moisturize and help heal wounds and keep paws healthy. Available in pack of 2.1-ounces. Measures 3-inch length by 3-inch width 1-1/3 height.